Hidden in peaceable cities and towns across America, a staggering number of explosive devices ingeniously seeded over a dark span of twenty-five years are set to detonate during the next excruciating forty-eight months. The architect of this chilling abomination - the silver haired Thomas Paine - has surrendered himself to the FBI promising to cooperate on the curious proviso that he can handpick the cases investigative team. As the indiscriminate carnage begins, can Detective Sergeant David Song together with Paines selection of other seemingly unconnected individuals unravel what appears to be an old mans motiveless crime? Will the young teams ingenuity prove enough to solve the complex clues they have been set and get to the remaining devices in time? From a crematorium to a consulate; from a fast-food restaurant to the Hoover Dam as the dozens of targets slowly emerge, where will the bomber strike next? 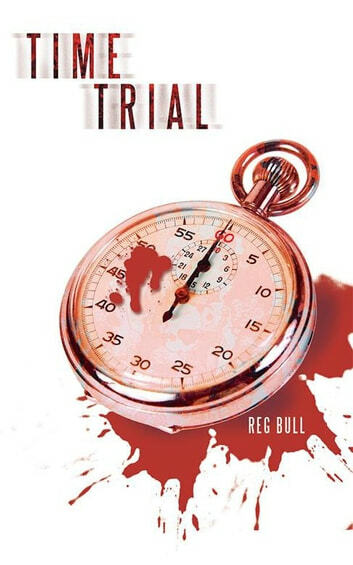 Time Trial is an amphetamine thriller that fizzes helter-skelter across the country in the wake of a terrorists swelling body count. Full of engrossing puzzles, twists and turns, along with some truly memorable characters, it is the ideal novel for people who dont mind accidentally missing their train station, and those content to read deep into the night as their partners sleep on unawares.